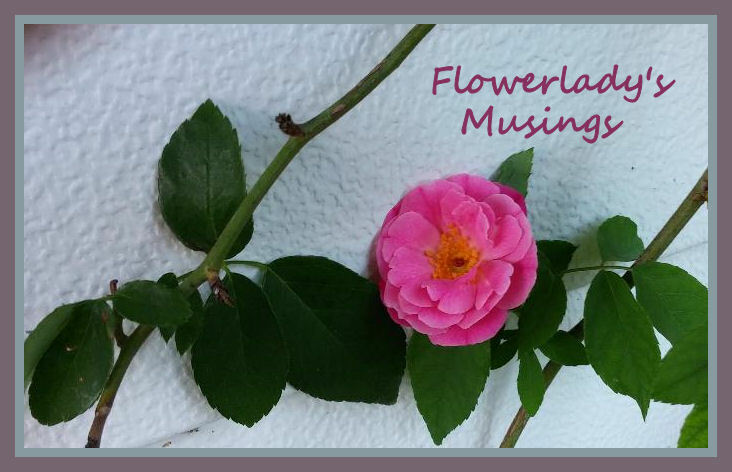 FlowerLady's Musings: It’s a new year! Good morning Folks ~ What a cold start to the new year many of us have been having. I went out a few minutes ago and it was pleasant out after a week of cold weather for us down here in sub-tropical south FL. We had rain down here the 2nd and 3rd, which ushered in a ‘cold front’. On the morning of the 4th our low was 38 and the real feel temp was 26. The next morning it was 41 and real feel 33. It has slowly warmed up until this morning with partly cloudy skies and rain in the forecast, it is 67 and real feel 63. I cannot imagine having to deal with the frigid winter conditions so many of you are having to deal with. I wouldn’t be able to stand it at this age. Have lived down here since 1960 and my older bones just wouldn’t like that kind of weather at all. Getting down into the 30’s is enough for me. A blessing is that each day it is staying lighter a bit longer and it is one day closer to spring. Although, on that first day of spring I will turn 69 this year. Oh my, where has the time gone. A word came to mind the other day for my ‘word for this year’, and that is ‘sufficiency’. This year my prayer is that I’ll rest more in the all sufficiency of God my Savior. With that, I am looking for 2018 to see how God works things out in my life. This past Saturday, the young man from church who came and cut down limbs from a hurricane damaged tree last Sept. came over and together we got some leaning fencing from that storm, standing back up. He dug 4 post holes and I had the 4x4 posts needed in a stack of lumber DH and I had stacked in that area. Johnnie only had to cut down one 4x4 that was way too long. It took us 2 1/2 hours and we talked as we worked. I enjoy working with him. He’s a hard worker and knows how to do a lot of different things. I am so thankful for his help and I know DH is too. The area over there as well as my whole main garden was overgrown. We trampled down a lot of overgrowth where we worked and I told him this little project has inspired me to get outside to work more. I said I really have been down since losing my husband and haven’t felt like doing much at all. I’ve started coming up instead of going more in a downward spiral and that feels GREAT!. God has been my strength and I am ready to go with this new year. Below are before and after pictures of the fencing and an arbor fix. After hurricane Irma. Looking southwest. Looking from the other direction, north. You can also see the rotted 2x4 that ‘was’ holding up the lattice. This made me feel so depressed to look at. I asked Johnnie if he would fix this for me too, and he did. This little project made me want to cry, as it was not a necessity. Although, for my broken heart, it was a necessity as this was something my DH would have fixed for me long before it got into this state. This makes me feel so much better to have it repaired. 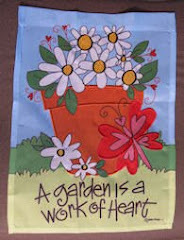 I am excited to start working in my garden spaces again, making them better than ever. Hidden space at the back of my main garden, has been neglected for too long. This coming Sat., God willing, my dear BIL, Todd and I will start work in my living and bedrooms. I am so excited about this project. They gave me two bookcases and a media stand when they moved to new place. I will have a new look, in a repaired and painted living room. I’ll show before, during and after photos when we’re done. This will take at least a coupe of Saturday’s to accomplish. Below is a fringe flower bush. I just love these blooms and the bush has purple and green leaves. Some garden ornaments. I believe this one is aluminum. Wrought iron from a chandelier. Cast antique pot metal piece. A metal gazing ball that my dear husband bought me years ago for my bday, seen from two different sides. Now these next phtos are the reason why I love to garden. Not all photos blow me away, but sometimes they do and I gasp in delight and thankfulness. You think while you are taking photos that this is nice, but when you see them out of the camera ready to edit, oh my gosh. At least that’s how I feel when photos are better than expected. Ok, that’s it for now from Plum Cottage. I may not be back for a couple of weeks as I work on getting ready for living room remodel and then doing some work too. It is raining here so my tropical cottage garden will grow even more over grown, part of living down here in s.e. FL. it is the time for home." Your metal gazing ball is so beautiful. Help comes, sometimes unexpected, and down here we have been so thankful for one tall younger man who has cleaned windows, painted the gables on the roof, and more. Accepting is getting so much easier. Florida, I saw that there was snow in some places, but it looked like you have escaped the worst. The garden repairs, what joy to have those jobs done, and then the inside, I will be so excited to see before and after pics. 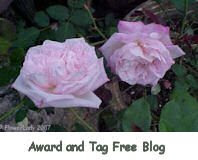 Your rose photos are beautiful Lorraine! And I do love your gazing ball - I could lose a lot of time staring into that, mulling over life's mysteries. Do you ever get any answers, I wonder? On a more practical note, it's good to hear that you're getting some help inside and out, and that you can feel yourself starting to lift again. It certainly looks like a good job done in the garden, and how exciting to be able to back out there and rejuvenate it. As for the work inside I confess I don't envy you the inevitable disruption, but I'm sure it will be well worth it and I can't wait to see the results! We're trying to capture some of that New Year spirit here too, not so much with DIY as with major de-cluttering in a bid to restore some order and re-organisation to our home. As with most things in the Schulz household, it seems the solution lies in the loft, so up we go ...... happy days! Wish us luck, as we do you with your re-vamp. I am glad you have some folks to help you with some of the projects. I get the same feeling when I look at some of my pictures.It';s a treat to see one or more that turned out looking better than expected. How good you have connected with the young man from church, he seems to have a knack for doing many things. That gazing ball is a beauty. I'm so glad you were able to get your lovely garden structures fixed. I look forward to seeing your living room remodel. Your roses are gorgeous. Sometimes the redirection does give you more inspiration. I understand how plants can just take over things and you feel like the jungle has won. Make that back garden a gentle goal and don’t get over whelmed. It may take a couple of years to get it where you want. You do need to sit and smell the roses as they are beautiful. We do thank the Lord for the young man who came to help you with your projects. I really like the metal ornaments hanging among the flowers; they give inspiration for conversation. And of course, the roses are beautiful! I hope your new year will be a very happy one! I am so glad you had help to get that stuff done, Loraine! It is wonderful to feel like you have a fresh start and a bit of an upper for the year. I can't wait to see your living room all painted and redone for you. That will be wonderful. ps. Do you go by Rainey sometimes? Oh- and I forgot to say that those rose pictures are AWESOME---just beautiful!!! Looks like God smiled on your garden right there! Oh, I love your garden. It's so lush and beautiful! I'm glad you have fixed fences now. I hope your remodel is not too distracting or distressing! God be with you, good Flower Lady! So good to hear you are moving up with your outlook and that you found a good helper to attack your outdoor space. Love the garden ornaments and the photos of the pretty flowers you captured. Blessings in the new year. I'm considering Sanctification as the word for 2018 for me. Your garden photos always give me moments of pleasure. 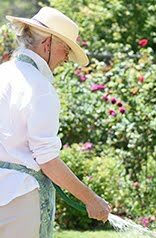 I'm 5 years older than you--and really having to confess that I can't do as much gardening or renovating as I would like. I'm very aware that we couldn't maintain our country lifestyle if Jim wasn't here or wasn't in good health. It is a sobering thought. I like your salvaged garden ornaments. How good that you will have the encouragement of help and the inspiration of a redecorated space! Your metal gazing ball is very beautiful from all angles. I liked your metal sculptures too which add character to the garden. Thanks for your comments on my blog. I am so glad you're getting help for projects both inside and out. Have a busy but GREAT couple of weeks... It's fun working not only in the yard but also inside, isn't it???? Your fence looks wonderful! Your flowers are stunning! I love your word. I have chosen "purpose" for my word this year. Since I am retiring in June I am preparing for God's next purpose for me. So glad that you got some help with repairs from Johnnie. He sounds like a nice young man and it's nice that your fence and spirits are propped up a bit. Looking forward to seeing the work you do inside and outside Plum Cottage this year!